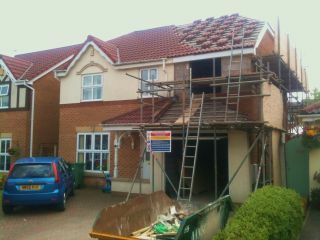 ARE YOU LOOKING FOR AN HONEST & RELIABLE TRADESMAN WHO DOES A GREAT JOB WITHOUT RIPPING YOU OFF? YOU'VE JUST FOUND HIM! FULLY INSURED & NO DEPOSIT REQUIRED BEFORE I MAKE A START ! PLEASE BEAR WITH ME PEOPLE, BUSINESS IS BUSY AND IM GETTING LOTS OF ENQUIRIES DAILY THAT IM TRYING TO GET THROUGH! The BEST way to contact me is by e-mail, as I never miss them, just leave a few details of where the job is and what you are thinking of. 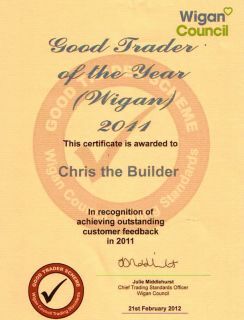 The good trader scheme was set up in early 2009 by trading standards, to help you find a trader you can rely on, there are still too many cowboys out there, charging top whack for shoddy & dangerous work, so now reputable traders not only sign up to be verified by the council, but they must also commit to doing a good job and promise to deal with their customers in an honest & fair way. After they finish a job, they leave you a feedback form, where you rate them, from 1 to 5 gold stars, these are then displayed on the council website, the more gold stars, the better the trader. As of 2012 there are about 450 businesses on the scheme. Out of those 400 the council award the cream of the crop a certificate of excellence from the customer feedback forms they received from the year up to December. Out of the cream of the crop they then award the best trader of the year. In 2012, I was happy to say I had the proud honour of receiving that award. Chris is an outstanding builder. 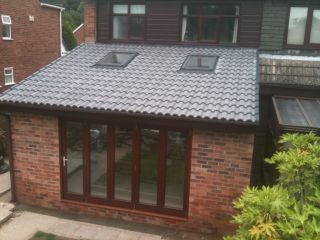 We are so pleased we had him carry out the two extensions to our property. Chris has been dedicated and hardworking throughout the build. He his trustworthy and reliable and always tidy to such an extent that our house has still felt like a home not a building site. I would certainly recommend Chris to anyone, it has been a pleasure to have such a conscientious and friendly builder work at our home. 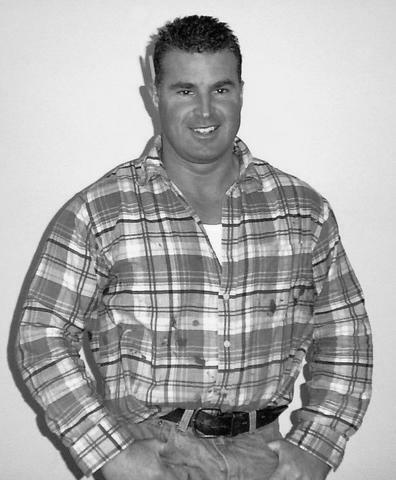 Chris did everything, from the foundations to our beautifully finished rooms, we are so pleased that he was our builder. Chris has completed various building works at our home, including a garage conversion, laying a base then installing electrics safely into the new shed, creating a block paved patio with walled garden area for planting, plus improving access for us into the garden. All his work has been completed to very high standard and to our absolute satisfaction. Chris is meticulous in his work and extremely neat and tidy, everything was completed with minimal disruption to our busy family life, something Chris was very considerate of, in fact, it felt almost like he was part of the family whilst he was here. Previously having worked as a Customer Service Manager myself, I have no hesitation whatsoever in highly recommending Chris, he always goes the extra mile and customer satisfaction is really important to him. We hope he'll return in the future to do more work for us. I hold a million pounds worth of public & 10 million employee's liability insurance - Click here to see my policy online. You shall be supplied with a contract note. Im polite, friendly and respectful & I turn up when I say im going to. There is never a point during a job where you will pay out more than the value of the build at that point in time. I know what im doing, and i've been doing it successfully for the past 35 years with no complaints so far! 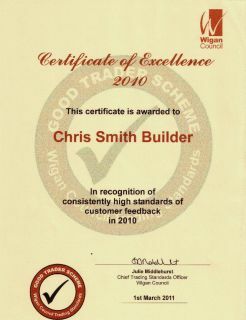 Wigan Trading Standards have presented me with an award for excellence for FIVE years on the run. My work has to be spot on, clean lines, symmetrical, straight & level, something to be proud of. I don't start another big job until yours is finished, no disapearing acts like the others. I never take money "up front" - stage payments only, any extra work you require is discussed & agreed before hand. Myself & one time served employee do everything, so you won't have loads of different men walking through your house. I am also a qualified & registered full scope domestic electrical installer with the latest part p certification. Best of all, I clean up after myself every day, both inside & out, its not just a building site, its your home! YOU SHOULD NEVER USE ANYONE WITHOUT SEEING THEIR WORK FIRST- YOU CAN SEE ALL MINE FROM YOUR CHAIR - JUST CLICK ON A PIC! 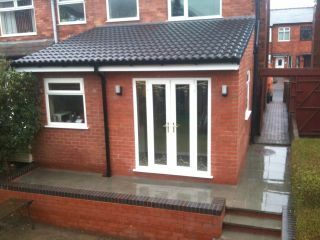 Last Garage Conversion to a Gym! They say your only as good as your last job, so CLICK HERE to see the video of a superb gym we have just completed and make your own mind up! Latest Trends - It seems people just love the open plan kitchen/diner - Click Here to see the last one I did! Kathryn, Paul, Kids & Dogs. I love my job and iv'e been doing it succesfully for over 30 years, if you're thinking of an extension or building work, but are worried about who you can trust these days, good news, you're on the right track by coming here, I can give you the contact details of my last half dozen customers, maybe they will give you a tour! ask them what sort of bloke I am. Not sure what to do? Lets get together for a chat & see what we can come up with! 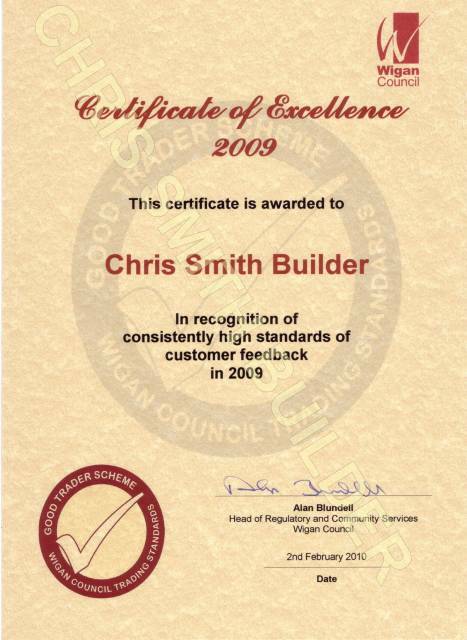 I'm the right sort of builder you need, a reliable & friendly bloke who does everything and is qualified too. Yes, I always have a small waiting list, but thats because im good! So get on it! What sort of builder can start the next day? why aren't people queuing up to use them? I trade as "Chris Smith Local Builder" because I want people to see I have nothing to hide, so I put my name behind my work. 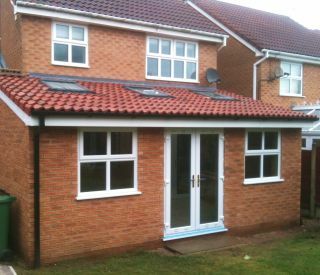 MORTGAGE WORK - PORCHES - HOUSE ROOFS - ELECTRICS - FULL HOME IMPROVEMENTSi - EXTENSIONS - FLAT ROOFS - DORMERS REFURBS - VELUX WINDOWS - GARAGES - PLASTERING - PLUMBING - JOINERY- ELECTRICS - WINDOWS - CHIMNEY STACKS - POINTING DECKING - PLASTICS -LANDSCAPING - BATHROOM FITTING - KITCHEN SUPPLY & FITTING - STONE WORK - BLOCK PAVING - TARMAC LAYING- FASCIA BOARDS - RESIN DRIVEWAYS- GARAGE CONVERSIONS - & MUCH MORE! All images are from Chris Smiths own jobs and are code embedded & copywrited. No copying permited. Gas work done by Gas Safe sub-contractor. This Site is I-Pad friendly! Sorry I dont travel to Hindley-Westhoughton-Bolton anymore due to the bad traffic jams, I cant get any work done! 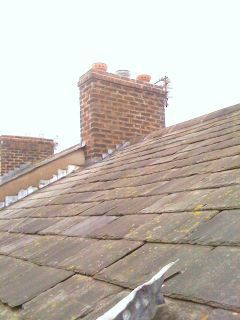 NOTE - THERE ALSO SEEMS TO BE A 'Chris Smith Painter & Decorater' IN ORRELL - THIS IS'NT ME!